Stuck in a hair rut? Don’t worry. With the various salon services we offer at Dominican Hair Design Salon in Tucker, GA, we can help you fall in love with your hair again. From hair coloring to hair treatments, you can trust us to liven up your locks or create an amazing new ‘do just for you. We use a wide range of products containing ingredients such as collagen, keratin, and shea butter so you can be sure that we can make even the most damaged hair beautiful, soft, and hydrated. Looking for a treatment that can repair hair that has been chemically treated or weakened by atmospheric agents? Dominican Hair Design Salon offers quality collagen treatments. Proven to calm frizz and smooth curls, collagen treatments are perfect for those who want to rejuvenate limp and lifeless hair. For a gentle damage repair that can help maintain your hair’s natural moisture balance, you can opt for our amino acid treatment. This treatment can detangle, lengthen, strengthen, and soften your hair with ease. It also brings out a brilliant lasting shine and reduces breakage and frizz. It can also help prepare your locks for high lift colors. Manage unruly hair with ease using our Keratin treatment. This hair treatment is proven to reduce frizz and soften curls by 50%. With the use of maintenance products, the effect of this treatment can last 6-12 weeks. 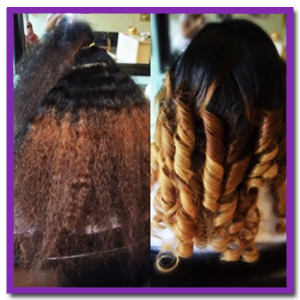 We understand that no one method can work for all types of hair. 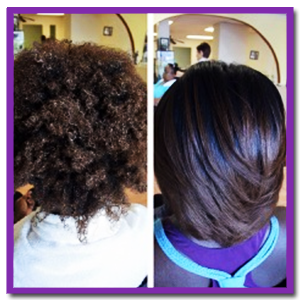 This is why we provide personalized hair services and help you find out the treatments and styles that suit you best. Rest assured we will go above and beyond industry standards to help you achieve the look you want. For your hair concerns, get in touch with our staff at (770) 724-0071.